An Estacada resident has filed a petition for a recall election for four of the five members of the Estacada Rural Fire District's board of directors. Kristy Williams, the daughter of Estacada Fire Chief Bob Morrisey, said she began the recall process for John McAdoo, Matthew Silva, Ed Thoreson and John Bresko because they were unwilling to work with Clackamas Fire on a full feasibility study and subsequently did not answer questions from community members about the future of the district as an intergovernmental agreement with Clackamas comes to an end in early 2019. "People had stepped up (during meetings) and started asking, 'What happens if Clackamas is no longer here? What happens if we don't do this study with them? What happens if this contract expires for us?' And they would not answer them," she said. Earlier this year, Estacada's board of directors opted to conduct a study that explored the services they share with Clackamas Fire and ways in which they could be expanded or reduced, but Clackamas Fire's Board of Directors had requested a broad study that would also examine the possibility of merging the two districts. The study would have been conducted jointly between Estacada and Clackamas. If the study had found that it would be beneficial for the districts to merge, it would require approval from both boards of directors, along with approval from voters in each district. However, because Estacada opted out of the full study, Clackamas gave notice that it intends to withdraw next year from the existing intergovernmental agreement next February. Williams noted that she did not file a petition for a recall election of director Chris Randall because she said he has supported the full feasability study with Clackamas. At a meeting in April, he made a motion to consider Clackamas' request for a full study. At a meeting last month, Estacada's board of directors approved a motion to define the parameters of a standalone study — conducted with a neutral third party — to chart out the district's future. When making the motion, Silva stated that the study should examine "where we are, where we're going and also looking internally, are we survivable, and if not what are the other options, whether it's a levy, whether it's doing a merger, and then who are those players." Board members also discussed the possibility of asking Clackamas Fire for an extension of the IGA. But Williams said this study would not provide the necessary level of information for the district, even if it did consider the possibility of a merger. "It's hard to study what a merger would mean with Clackamas if we're not doing the study with them. I don't think it would be complete," she said, explaining her preference for a full joint feasability study between the two districts. Recall organizers have within 90 days of the petition being filed to gather at least 600 signatures and submit them to the Clackamas County Elections Office. If there are enough valid signatures, the board members named in the recall can either resign within five days or submit a statement of justification. If a statement is submitted, a recall election will be held within 35 days. Oregon law states that if the majority of a governing body is vacated, the vacancies should be filled by the Clackamas County Commissioners so the district would have a quorum. Williams, who said she does not personally know anyone at Clackamas Fire, noted her main motivation in starting the petition for a recall election is community safety. "If you're not willing to know what's important to keep your community safe, you should no longer be making the decisions for our community," Williams said of the board members' decision against conducting the full feasibility study with Clackamas. "They've been asked many times. They have had many opportunities to seek the information and they refused to do so. They discussed doing another internal study which means more money if they hire another consultant to tell them whether they need to do a full feasibility study. It's just more running in circles. We're taking steps back, in fact. Just continuing to do the same thing is not going to continue to work." for wanting to remain Estacada." "I want to remain Estacada Rural Fire District. I would be extremely sad if we were no longer Estacada Rural Fire District. None of this is about a merger. It's about gathering information we need," she said. "My doing the recall action has nothing to do with my father and his opinion on things. I have kept him out of it as much as possible so that I can get my own information and I don't feel like it is coming from internal. I want to have a non-bias to everything." Silva has served on the Estacada Rural Fire Board of Directors since 2001, Bresko has served since 1987, Thoreson has served since 1985 and McAdoo has served since 2005. The Estacada News was unable to reach Thoreson or Bresko for comment. McAdoo said he was "not concerned at all" by the recall petition. "I have other priorities. I will let the public speak," he said. "I've been in the fire service for over 30 years. I pretty well know the ins and outs of how the organization operates. My priority is to do the best we can with the resources we have at the time." Silva noted that voters have a right to the recall process, but he believes it is unwarranted in this instance. "In every community you cannot make everyone happy. Agendas and personal relationships get involved," he said. "I have proudly (served) on the Estacada Fire Board for many years with the other three board members (mentioned in the recall petition) and I can unequivocally say that they are some of the most upstanding, faithful and dedicated citizens in our community." Silva added that, "I joined this board to volunteer my time and give back to the community something I have knowledge about and I continue to strive to do so. I am not swayed by bullying or personal attacks from the job I have sworn to do." He noted that the board members ensure the community's safety in a variety of ways, including ensuring that calls for service are handled and "continually budget(ing), purchas(ing) and secur(ing) our apparatus, equipment and buildings without bond measures or loans." "We have and continue to respond within the targeted timeline established for all emergencies," he said. "We, as a fire board, are continuing to work with all of our outside partners to ensure that we continue to provide the best response and service for our citizens, as we have always done." Through the current intergovernmental agreement (IGA) with Clackamas, the Estacada Rural Fire District receives a truck and heavy rescue team for fires, and an advanced life support unit on medical calls. Currently, Clackamas responds to approximately 13 Estacada calls each month. 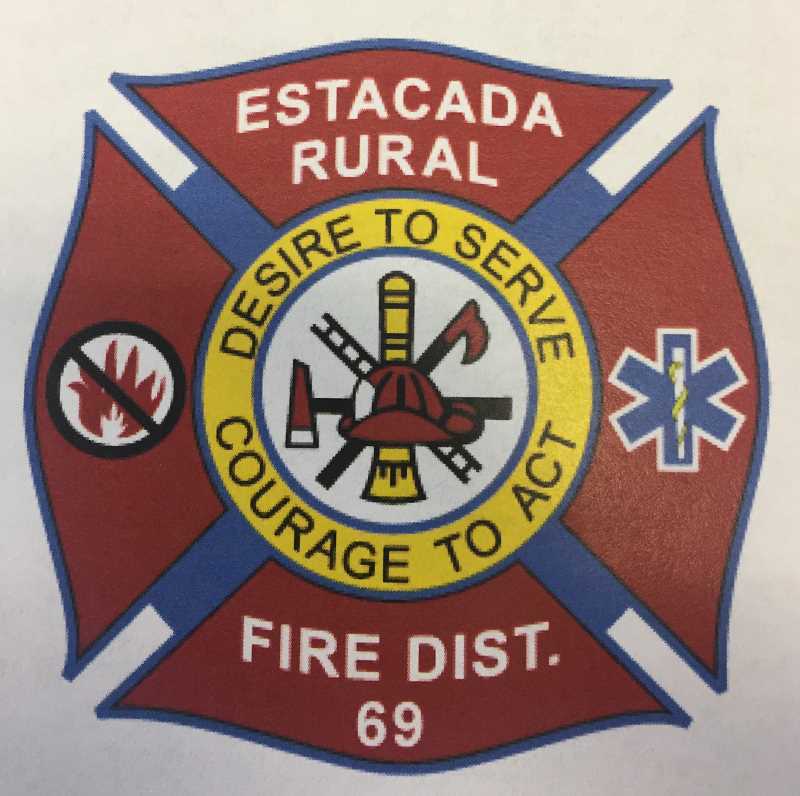 Along with these services, Estacada also receives training opportunities, command and control services and a battalion chief on nights and weekends. Though the mutual aid program would provide an engine for calls without the IGA, the response for medical calls would not necessarily be an advanced life support unit, which is the highest level of prehospital field care. "(With the IGA, Clackamas) respond(s) to Estacada like it's their own fire district," said Estacada Fire Division Chief Richard Anderson, noting that Estacada could still receive automatic aid without the IGA. "It would be a different system. We would request help, and if it's not available it may not be sent." For the services provided through the IGA, Estacada pays $240,000 annually. Officials from Clackamas Fire said this figure covers the costs of these services. When discussing the study that was brought up at the last Estacada Rural Fire board of directors meeting, McAdoo described it as a strategic plan. "A strategic plan looks at the future of the organization. It could look at the possibility of a merger. It looks at all phases of the operation," McAdoo said. "In my opinion, if we (find) that in five years we will run out of revenue or resources, then we should look at a feasibility study. Everyone is focused on the feasibility study, but we want to look at a strategic plan."